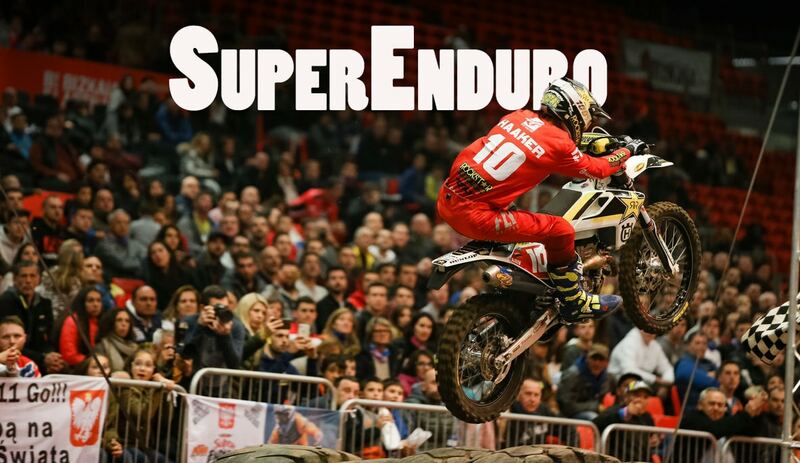 Colton Haaker, Cody Webb and Taddy Blazusiak met for the final round of the 2019 FIM SuperEnduro Championship this weekend in Bilbao, Spain. It would be one of the most dramatic finishes in the history of the sport. 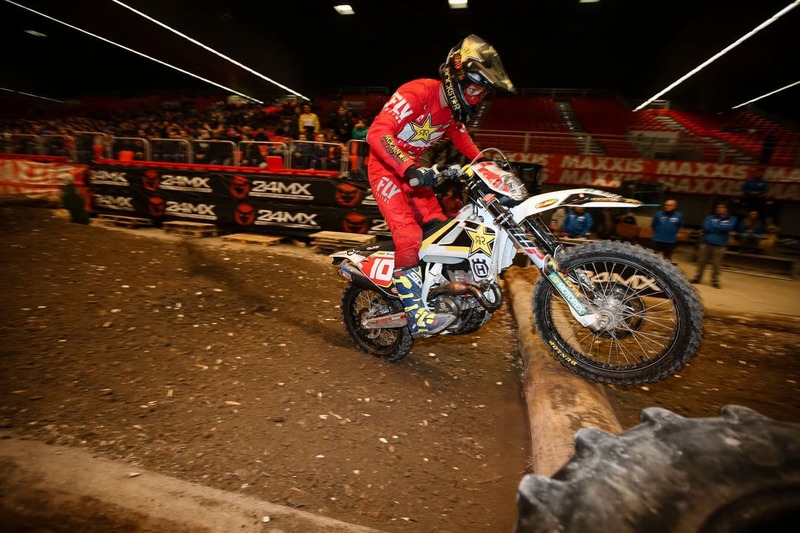 In the end, Colton Haaker literally crashed over the finish line to earn third in the final heat, and that was enough to take his third world Championship, even though Webb had the better score for the night. After a restart in the first heat, Haaker found it difficult to keep up with Webb who seemed unbeatable out of the gate. That would be Webb’s first win of the night ahead of Blazusiak and Haaker. After this dramatic opening race just 6 points separated Haaker from Webb. Colton Haaker won heat two and benefited from his teammate’s blocking maneuver in the final race. In heat two, Haaker took the lead after 3 laps, and then managed to control the chasing pack for the entire race. Behind him, Webb made a small mistake which saw him lose contact with the Husqvarna rider. With this victory, Haaker added another three points over Webb. 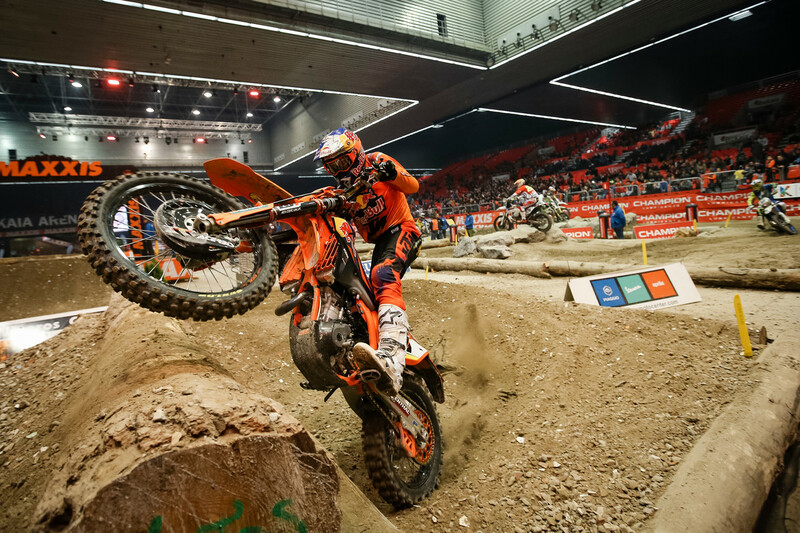 Third in the second race of the night was Blazusiak, who was forced to accept that a 7th World SuperEnduro title had now slipped from his grasp. Cody Webb had a great night, but it wasn’t enough to win the title. Future7Media. Webb dominated the final race while Haaker could seem to do nothing right. A few corners from the end of the race, Haaker made a mistake and lost some positions. Webb would therefore have enough points to win the 2019 title. But it turned out that Alfredo Gomez, the teammate of Haaker, was going to play a role in the outcome. The Spanish rider, playing to team orders, allowed Haaker to finish third in the final, which was what Haaker needed to take the title. Gomez was later disqualified for this action, although it was not explicitly against the rules. In a final shocking twist, Haaker suffered a huge crash over the finish line and lost consciousness, waking up to find his team around him, congratulating him.